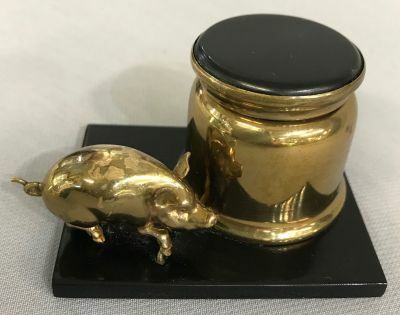 Art Deco inkwell with a figural pig attached to the base. Gilt metal on a Bakelite base, the original glass liner is intact. The base is 2 1/2” by 3 1/8”, 2” high.